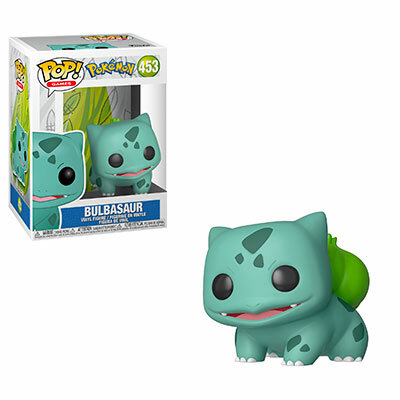 Home News New Pokémon Bulbasaur Pop! Vinyl Coming Soon! New Pokémon Bulbasaur Pop! Vinyl Coming Soon! Get ready as another Pokémon Pop! Vinyl is on its way. The new Bulbasaur Pop! Vinyl is currently available for pre-order and will be available in late-February/Early-March. Click on the link below to order yours today! Pre-Order the new Pokémon Bulbasaur Pop! Vinyl today! Previous articleNew Funko Shop Exclusive Pop! PEZ Pals & Tee: 3-Pack Bundle to be released today! Next articlePokémon teams with Funko to release 12 new “A Day with Pikachu” Collectibles!